The outer fabric is Jessica Jones' Blue Sunburst Timewarp barkcloth by Cloud9 Fabrics. 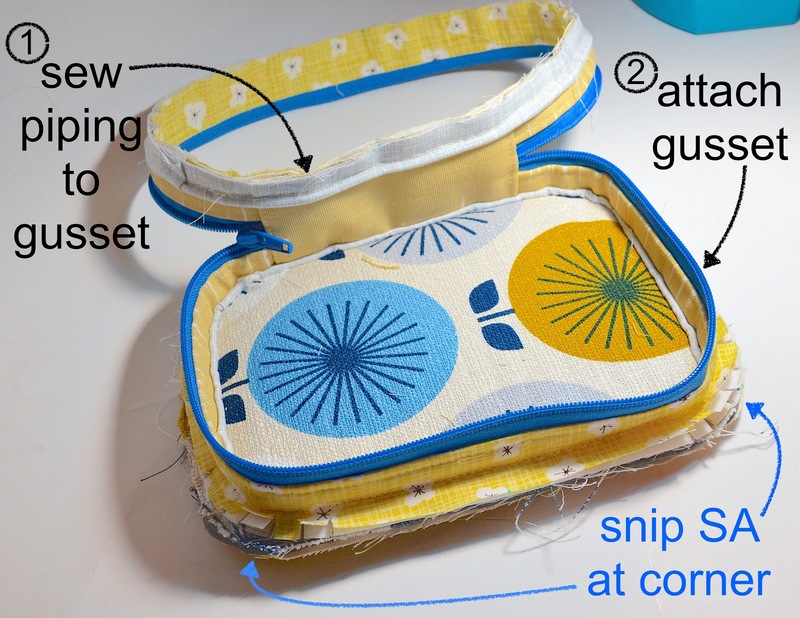 This pouch has three zippers, two of which are in familiar roles - I thought it would be fun to revisit them and revise some old techniques. to open the case so it lies flat. Inside the case are compartments for organizing stuff. Here is zipper #2, running along the edge of a clear flat pouch. Recognize it? You've made this before, here. 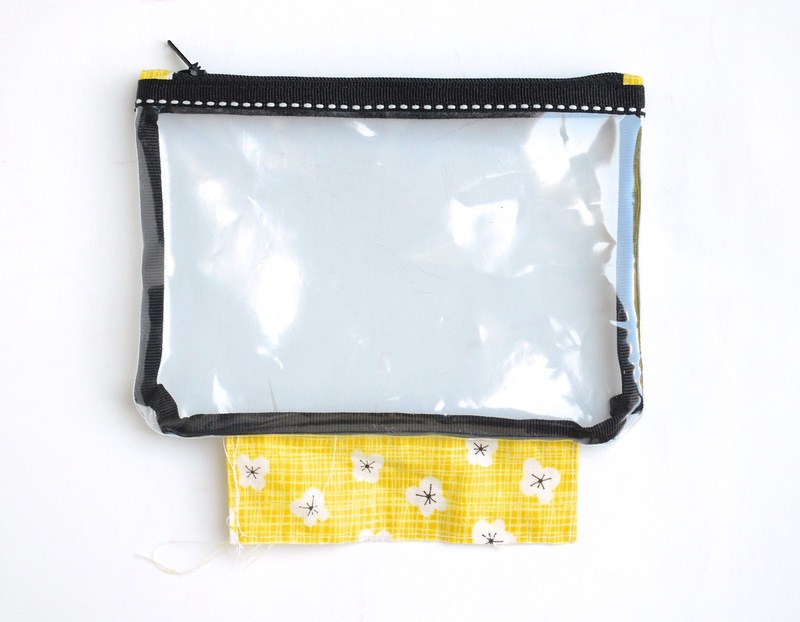 This clear pouch is unlined (because it's clear!) so its seams are bound on the WS. 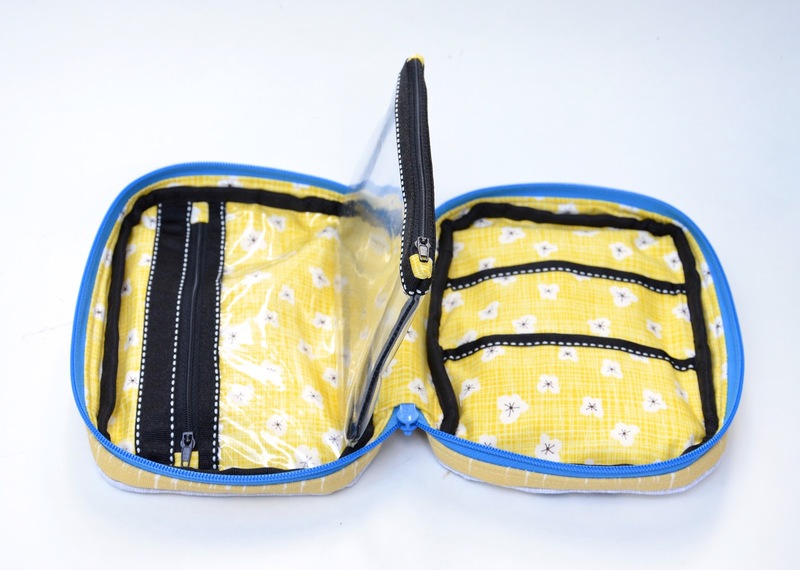 Zipper #3 is an UNfaced (unbelievable, I know) flat zipper, allowing access to a clear pocket. You've installed a zipper like this, too - here. The other panel has two simple patch pockets. Before the final assembly stage, the outer and lining layers are sewn together to make a single multi-layered piece. It is not elegant for a bag. It just isn't. 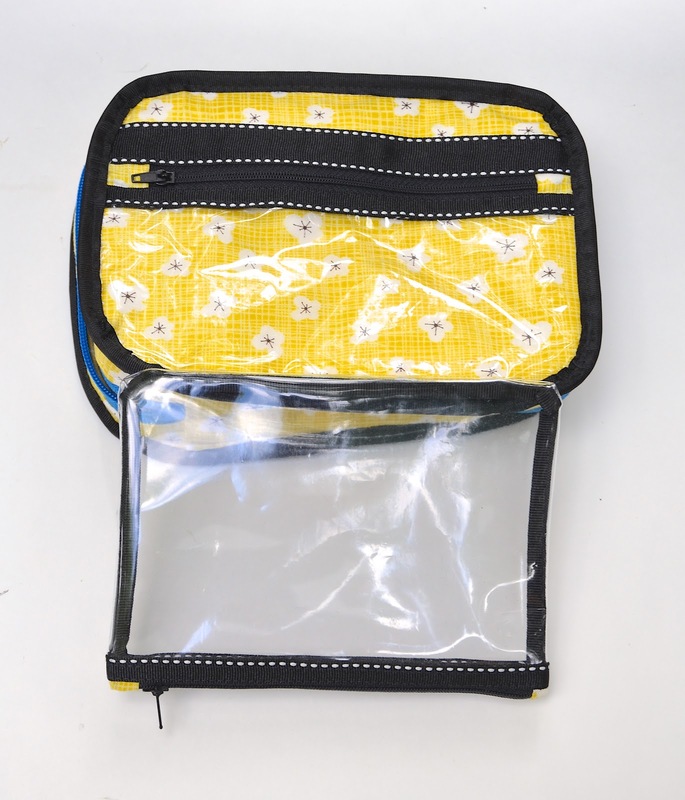 The external-binding method is better than today's internal-binding method, and is prevalent on commercial rugged, casual outdoor bags and pouches. For but for fashion bags and purses, it feels like Settling For, you know? Personal opinion. It is not a fun method for bulky layers. You break needles, the entire bag slips out from under your presser foot, you curse, you cry; it just doesn't work. It requires more skill and precision than appears. And patience. In other words, contrary to what you might think, it is NOT simpler than separate-layer-lining-a-bag. Not by a long shot. Because unless you want your binding to look absolutely hideous, you must hand-baste it in place and finish off the ends of your trim (or they'll fray) in a seam, with a folded overlap (thus adding even more bulk) or -if your trim is polyester or nylon - by sealing. And then - only then - can you run everything under your presser foot. 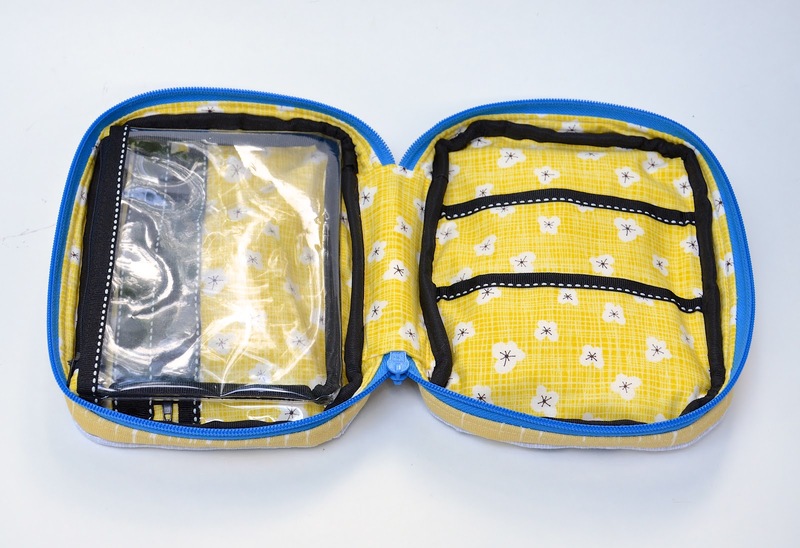 That said, I am still including these tutorials in our series because the bound-SA way is how bags and pouches are commonly made commercially, and therefore worth learning. While the case itself has a super-simple construction sequence i.e. sew two flat panels to a gusset, it is the organizational features that make it interesting, so we'll take some time to deconstruct those. 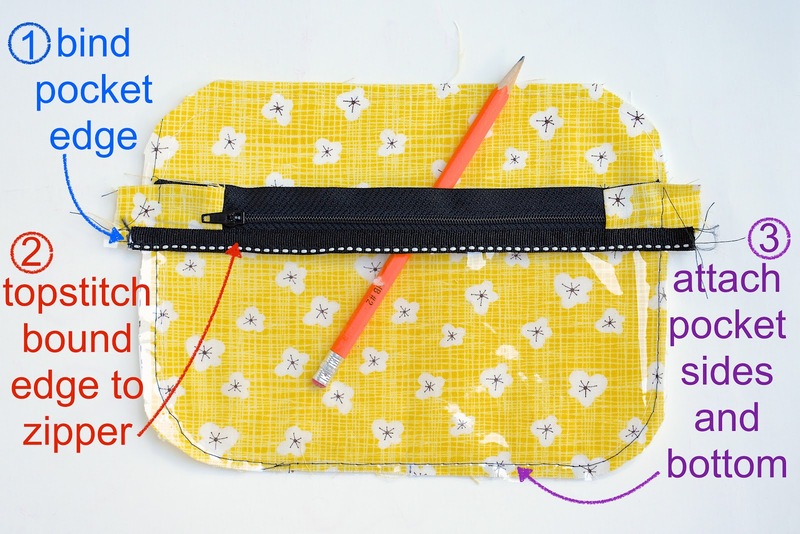 Make an attachment flap. Finish the two short sides and leave the two longer sides unfinished. Bind the top edges of the two pouch panels (I used clear vinyl). 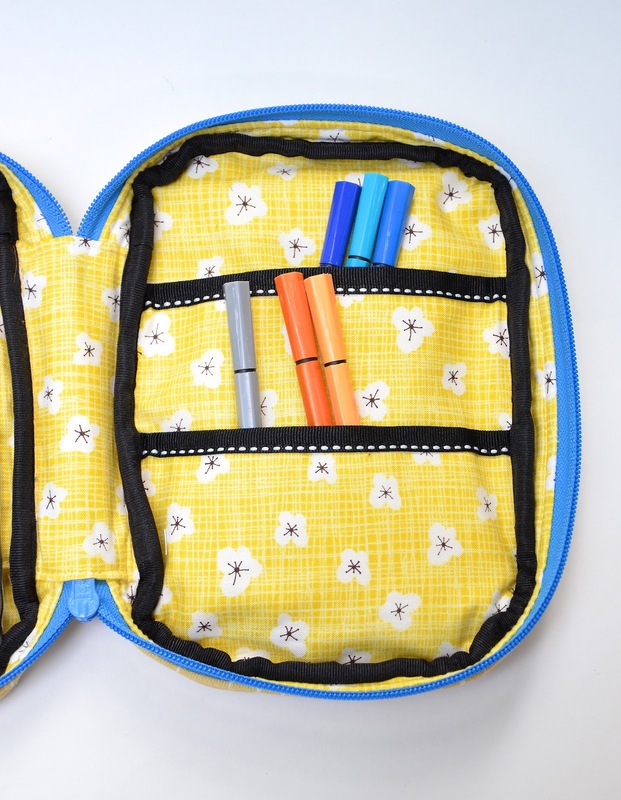 Prep the zipper with fabric stops. Use this method or this one. Sew (topstitch) the zipper to the top (bound) edges of the pouch panels so the RS of the zipper is touching the WS of the binding. 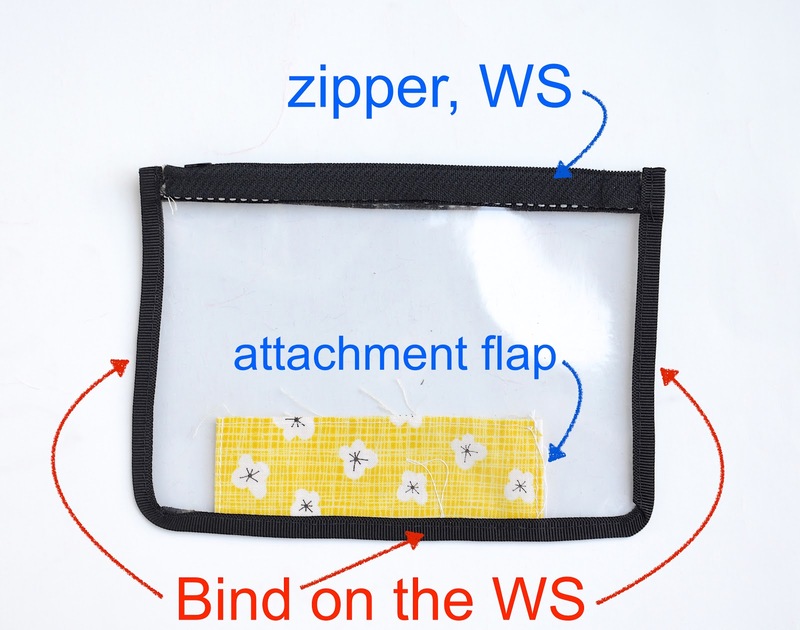 Bring the two pouch panels together so the zipper is along one edge and its WS is exposed. Insert the attachment flap between the two vinyl panels, with one long edge lined up with their bottom edges of the vinyl panels. 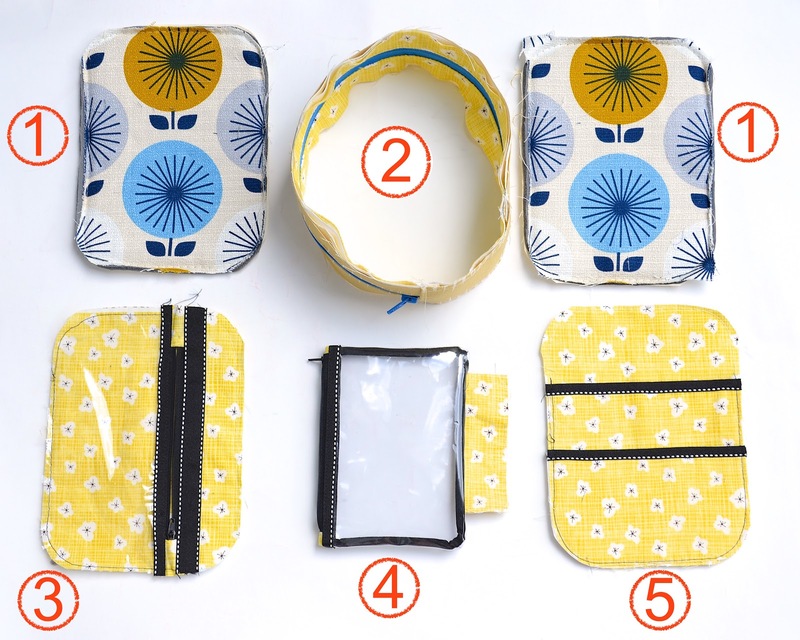 Sew the sides and bottom of the vinyl panels together to make a closed pouch. 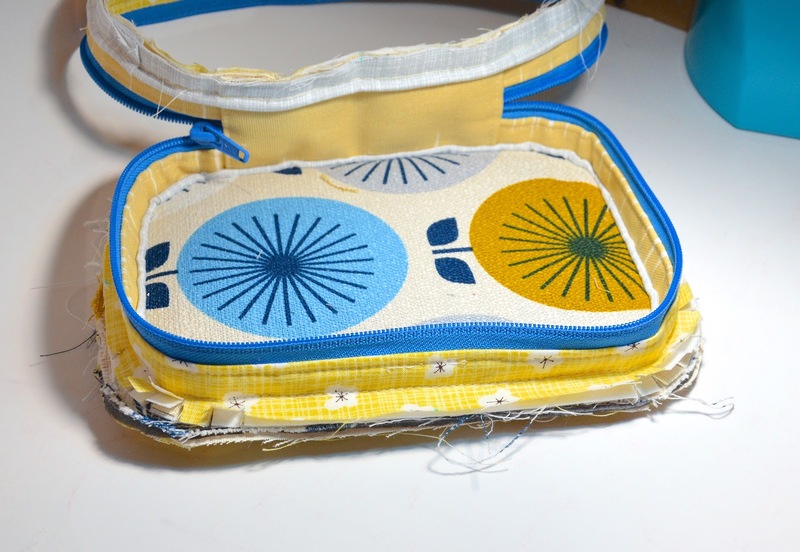 Bind the sides and bottom edges of the pouch. Turn RS out through the open zipper. Set aside. 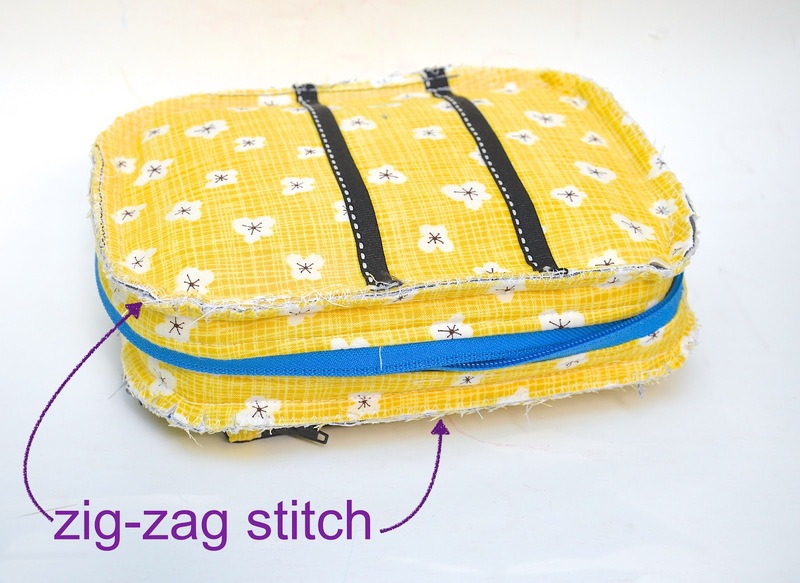 Prep a zipper with fabric stops. Use this method or this one. Bind the top edge of the pocket piece (I used clear vinyl). 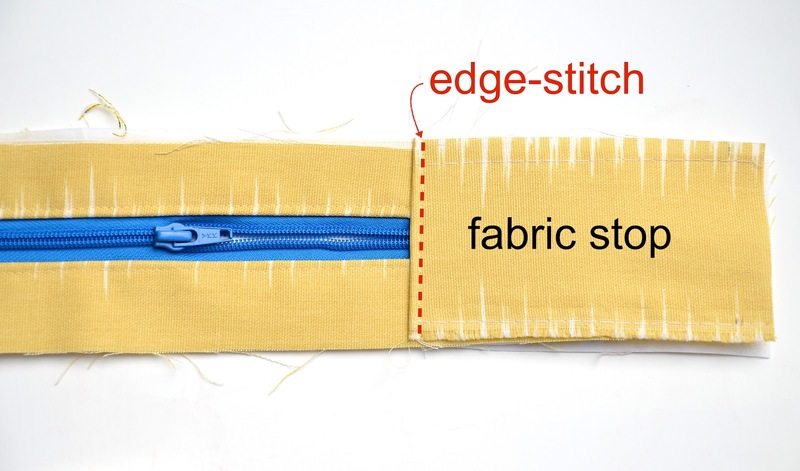 Lay that edge on the RS of one side of the zipper tape and sew (topstitch) to attach. Lay this pocket-and-zipper ensemble in position on the main body panel, as shown. 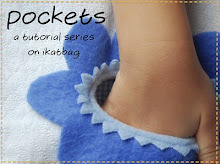 Sew around the sides and bottom of the pocket to attach. Sew trim on top of and across the other edge of the zipper tape, thus facing it, to finish the pocket. Bind the top edges of the pockets. Lay them in position on the main panel as shown. Sew around their sides and bottoms to attach. Now let's assemble the case itself. This first part is similar to the split strap from this post, except that we're leaving the outer edges of the gusset unfinished - these get sewn to the main body panels of the utility case. 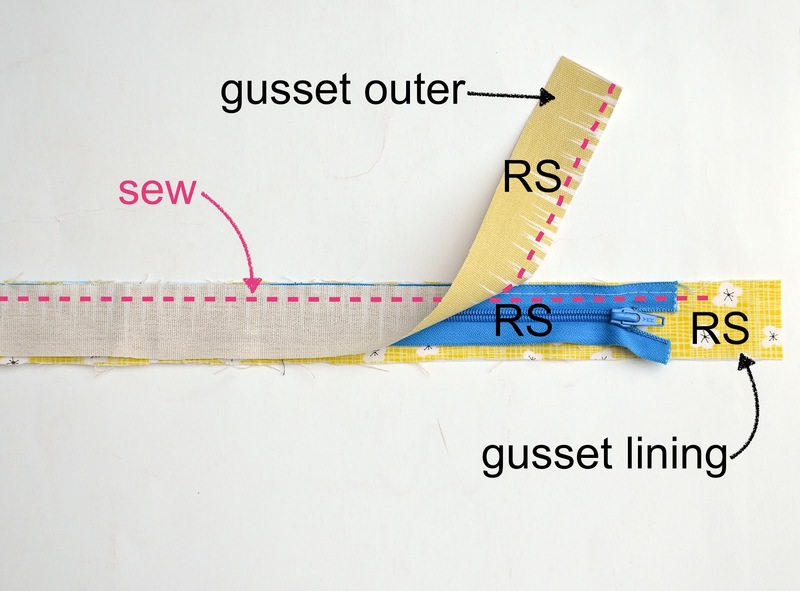 The gusset is cut as 4 half-width strips - 2 in outer fabric and 2 in lining fabric. 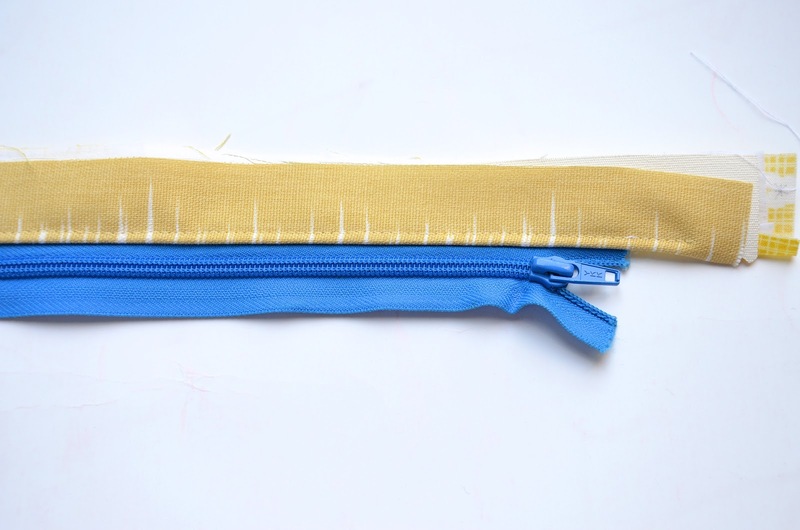 Baste the WS of the zipper to the RS of one long edge of a half-strip of lining fabric. 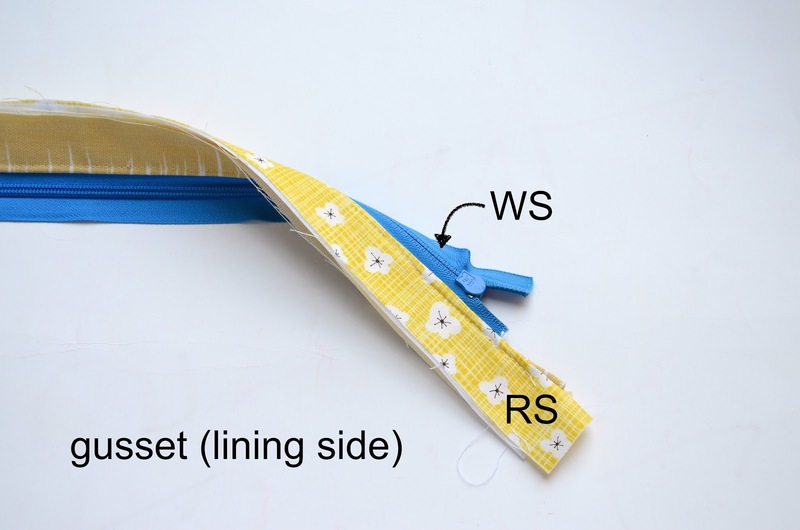 Lay the RS of the half-width strip of outer fabric on the RS of the zipper, as shown. Sew through all layers. Fold back the fabric straps to expose their RS. 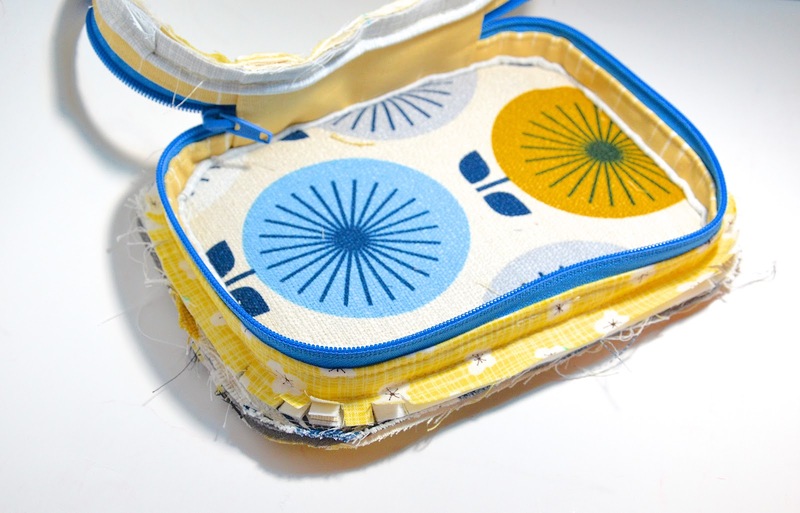 Press the fold and edge-stitch to hold the layers in place. This is the outer fabric side. This is the lining fabric side. 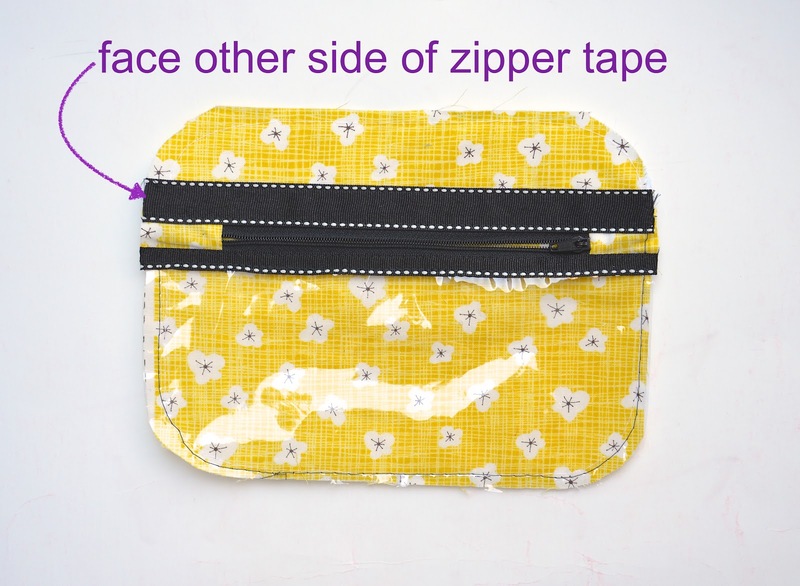 Repeat to face the other side of the zipper tape. 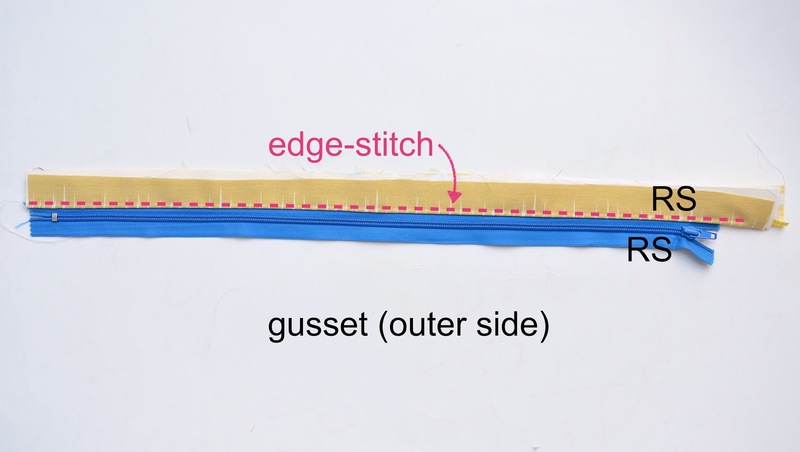 You should now have the full-width gusset, comprised of a fully-faced zipper between two half-width strips. This is the outer fabric side. 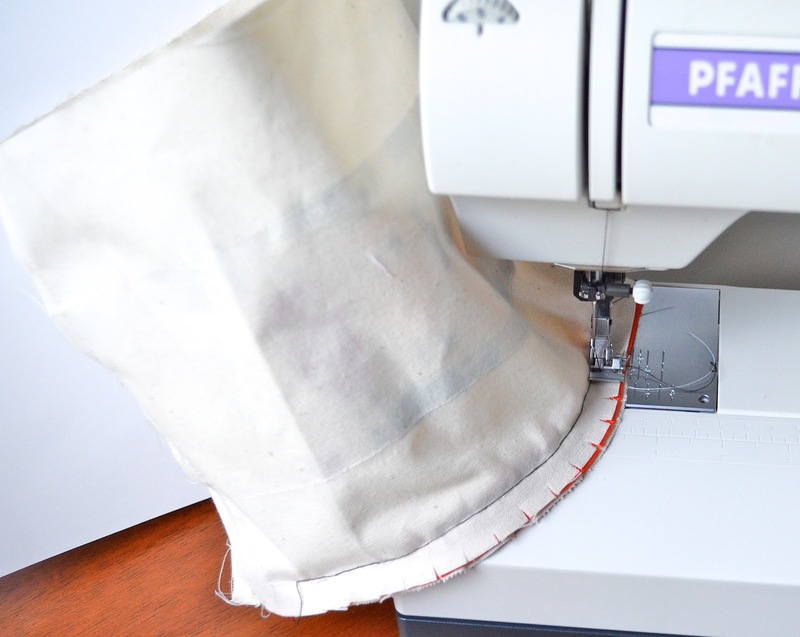 Attach a fabric stop to one unfinished end of the gusset. 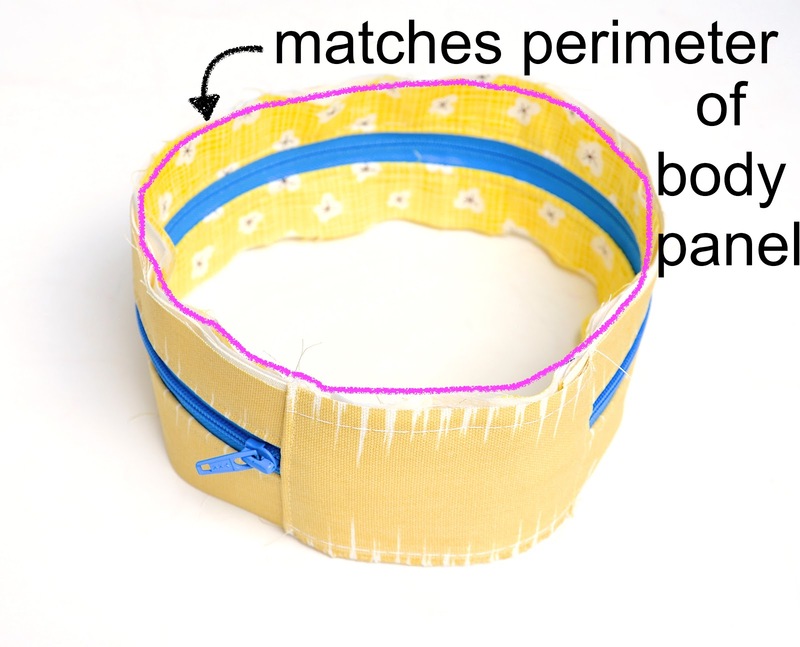 Measure the finished perimeter of the body panel and mark out that same distance along the gusset+fabric stop. 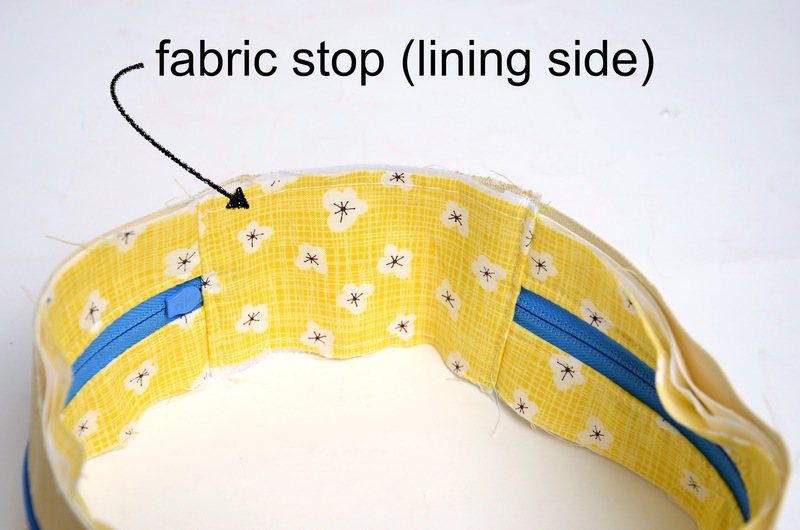 Attach the other end of the fabric stop to the free end of the gusset, making a closed loop whose circumference matches the perimeter of the body panel. This tutorial (particularly STAGE 4) might be useful. 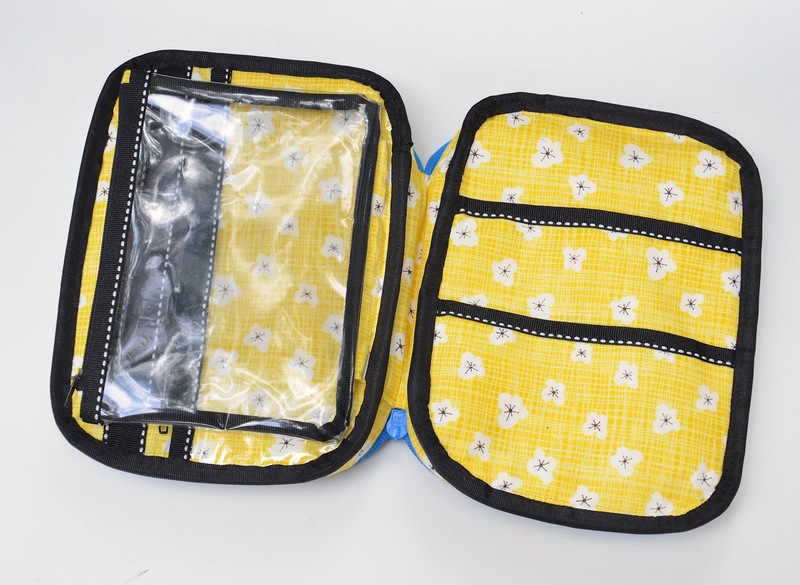 the other inner lining panel (with two patch pockets). 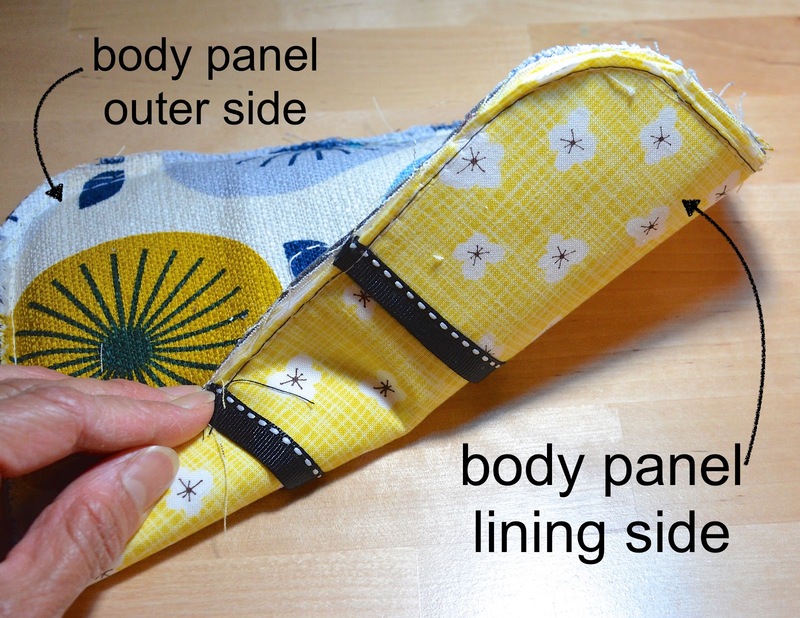 With their WS together, sew one outer panel to one lining panel to make a single composite panel. Then, again with WS together, sew the other outer panel to the remaining lining panel to make a second single composite panel. The main body panels are now ready to be sewn to the gusset. The advantage of sewing these layers together as composite panels is that the lining doesn't shift about in the finished product. The disadvantage is that the SA will be exposed in the finished product and will need to be bound. We're now going to attach the gusset to the body panels, one at a time. To do this, pretend that the gusset is actually a cylinder, except short, and that the base is kinda like a circle, except rectangular. Now, if you were being ambitious and planned to add piping to the external edges of this utility case, do that first. Then snip the parts of the gusset that curve around the corners of the body panels (no need to snip the straight bits). Using a zipper foot so the needle can get really close to the stitching line, attach one side of the gusset to one body panel. Then attach the other side of the gusset to the other body panel. 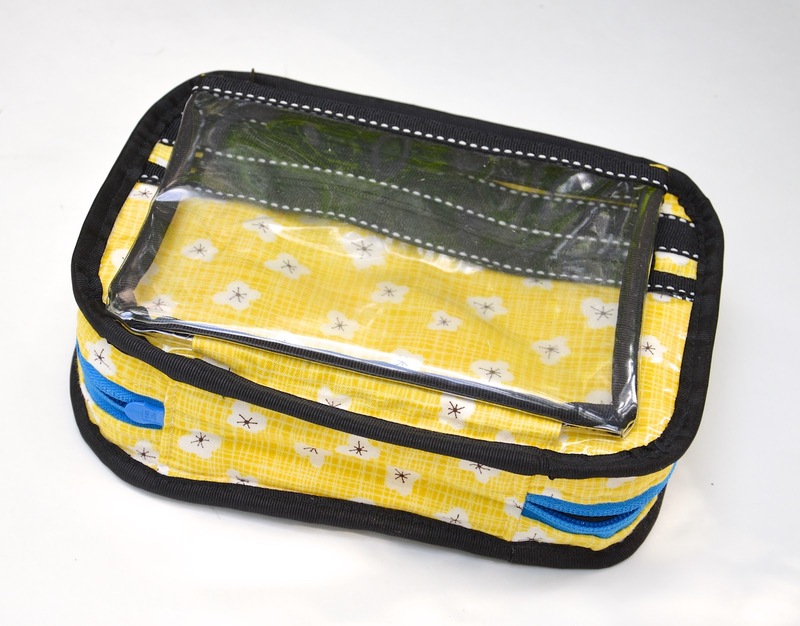 Remember to insert the attachment flap of the clear pouch into one of those seams. Homestretch, friends; don't give up! 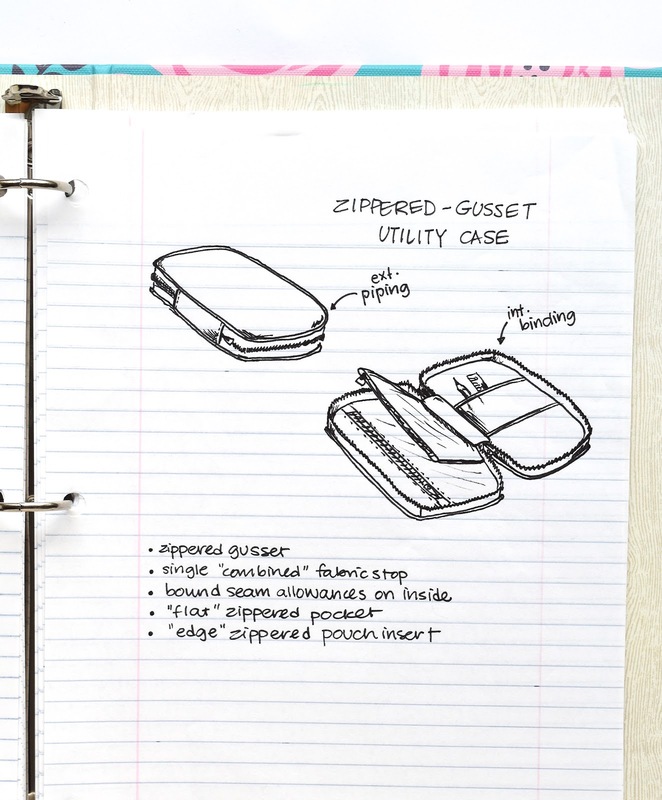 Turn the entire case inside out. We're going to bind those SA now. We're going to compress the edges of the SA to make them easier to bind. First, trim them to just narrower than your folded binding. Then zig-zag the edges to flatten them. 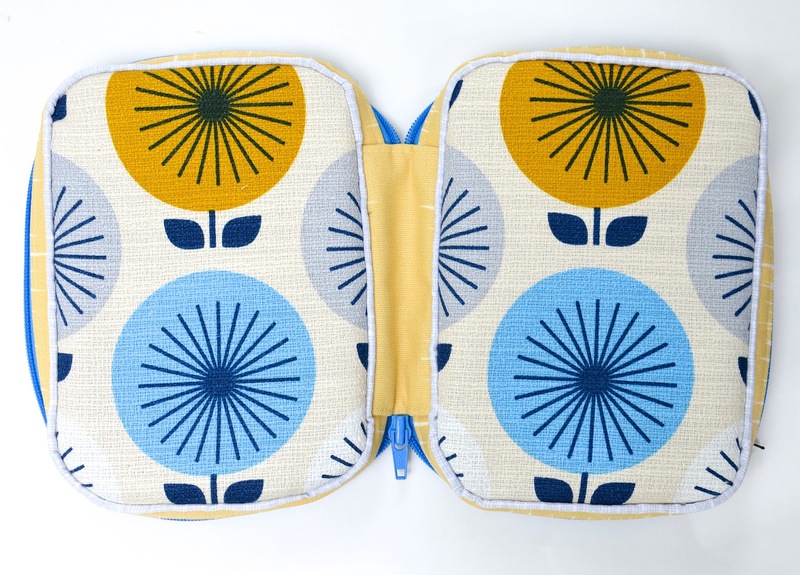 If you're especially daring, you can serge them too, but it wasn't worth my time or effort to wrestle with those rounded corners under my serger arm. Here's how everything looks so far. Finally, bind the SA. Use whatever kind of binding you like. 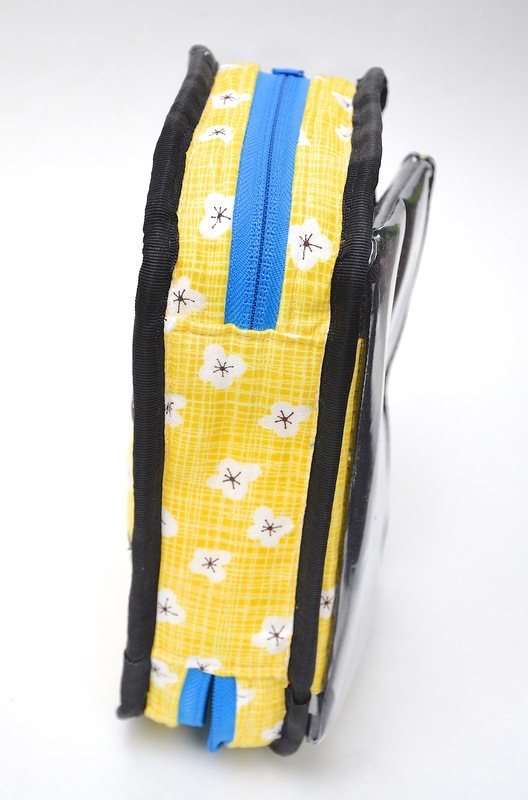 I used a thick grosgrain trim. 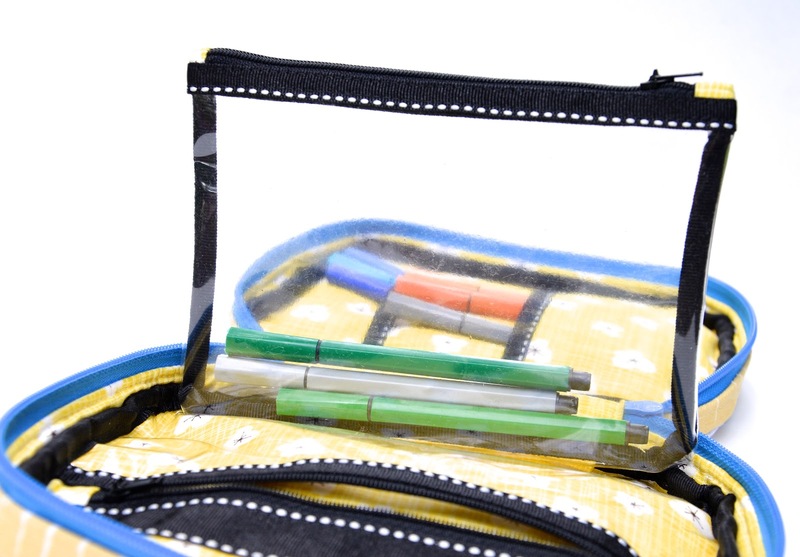 and with the clear pouch hinged out. Here is the lining side, now tucked back into its cavity. And here, finally, is the outside. Seems almost an afterthought, doesn't it, after the disproportionate amount of work you put in on the inside? 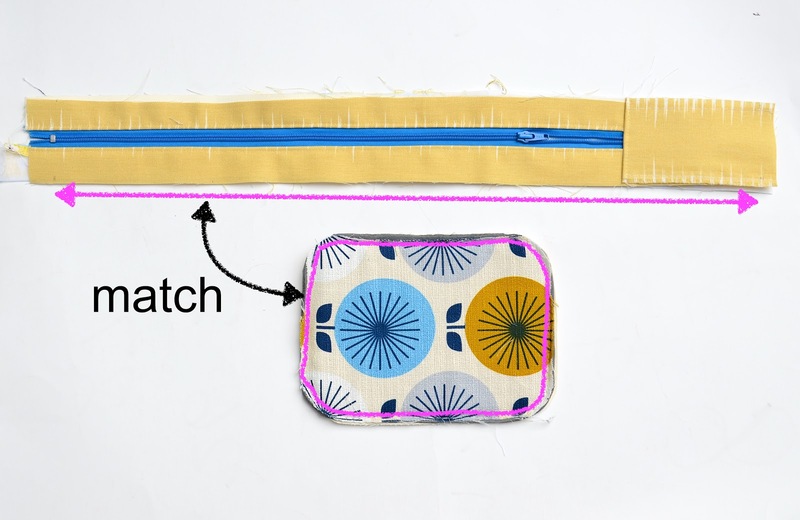 But now we can say we know how to construct pouches and bags the commercial way (although you can decide for yourself whether or not it'll become your go-to method to make a bag). I can see a lot of variations that would be useful. 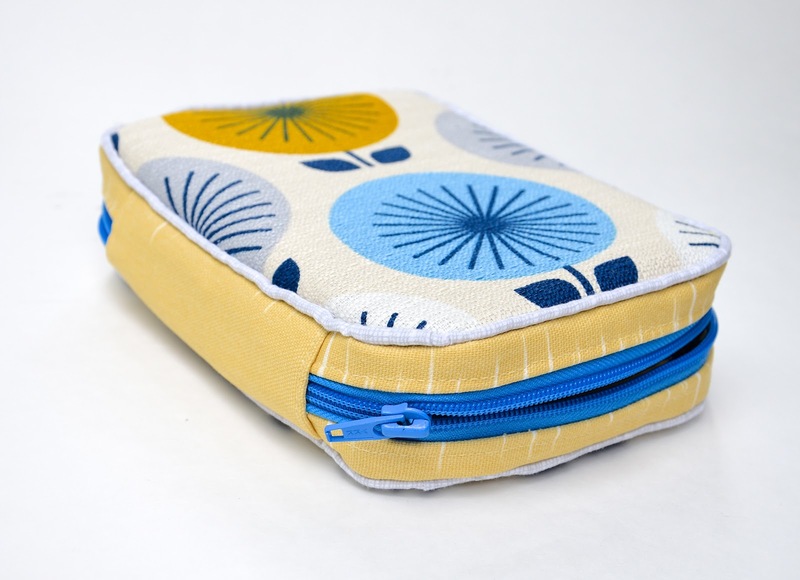 Lots of travel pouches for keeping gadgets, cables, batteries and other junk safe and organised. By the way, in stage one (making the zippered gusset) it looks like there are one or two extra fabric layers between the inner and outer fabric. Is this stabiliser, padding or something else? Yes, Katie, that is a stabilizer layer. Or layers. 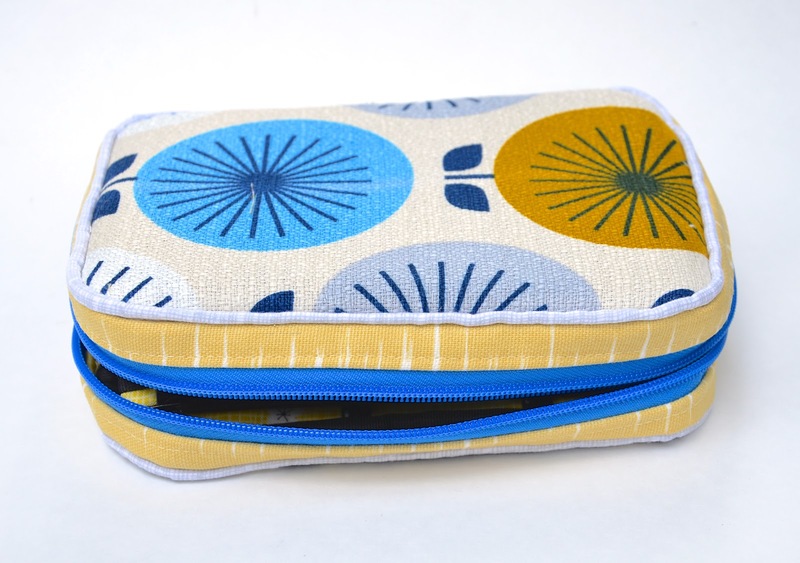 I can't remember - I made this pouch months ago! 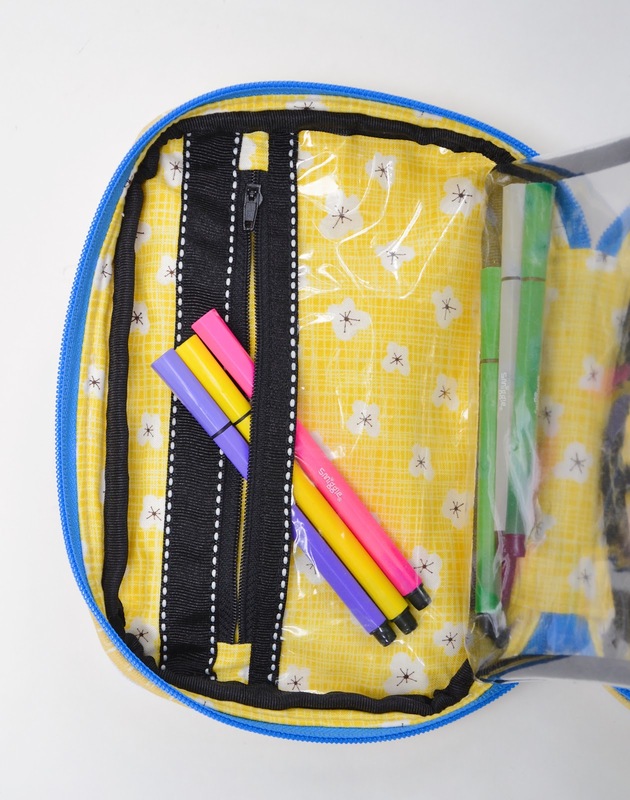 This bag makes me absurdly happy because the organizational possibilities are endless. Thanks for this great tutorial. I appreciate it very much that you put so much effort in sharing all your experience and wonderful ideas with the world. 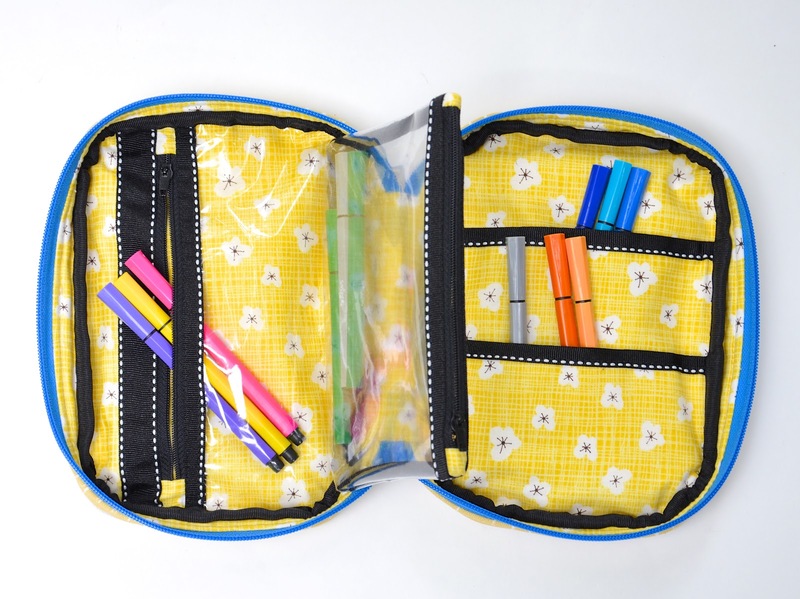 One question still remains for me: Is it possible to make such a utility case without having to bind neither on the inside nor on the outside, while still having the inner and outer panel together as a single sandwich? Regula: I'm not sure what you mean- do you mean sewing the outer and lining layers separately and then joining them together at the zipper? They'd still separate at the other seams (i.e. 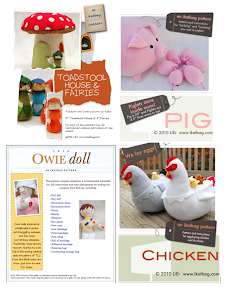 you'd be able to pull them apart in the finished project. Yes, exactly. But I don't want these layers to be separate at the other seams. Perhaps only stitching these seams in the end would help? Which I find really challenging, so that it would look good. The goal would be a neat finish on the outside (with piping) and also on the inside. Thank you very much for your help and patience! Hi, so excited to find this. I am making a wallet in this style. What does SA mean? Thanks! Amy: There isn't a pattern for this case. 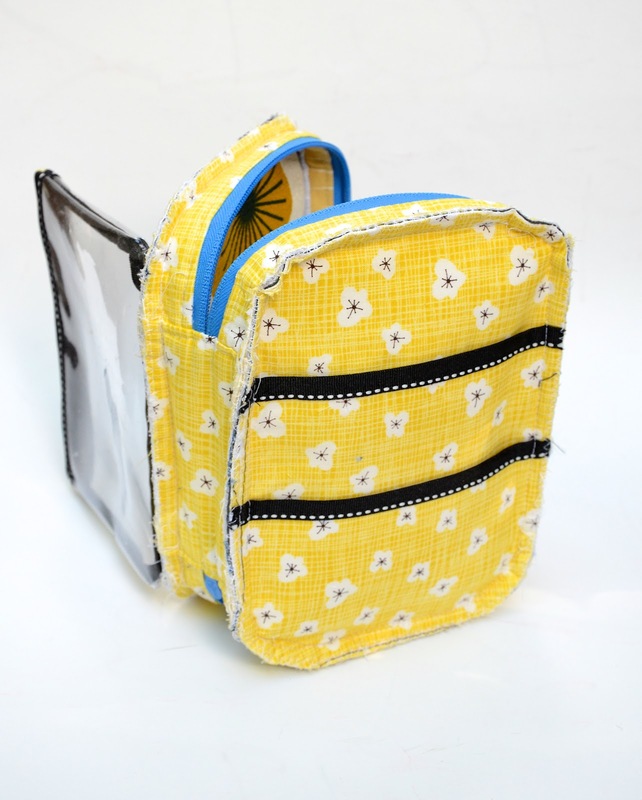 Sorry :( This tutorial series was designed to help readers make their own patterns for pouches, cases and bags that are a little more intricate than the typical, and a little more like what you can find commercially. Excellent tutorial. I've been searching for instructions to make a case like this as a Bible cover. I love this bag!Could be used for so many uses. 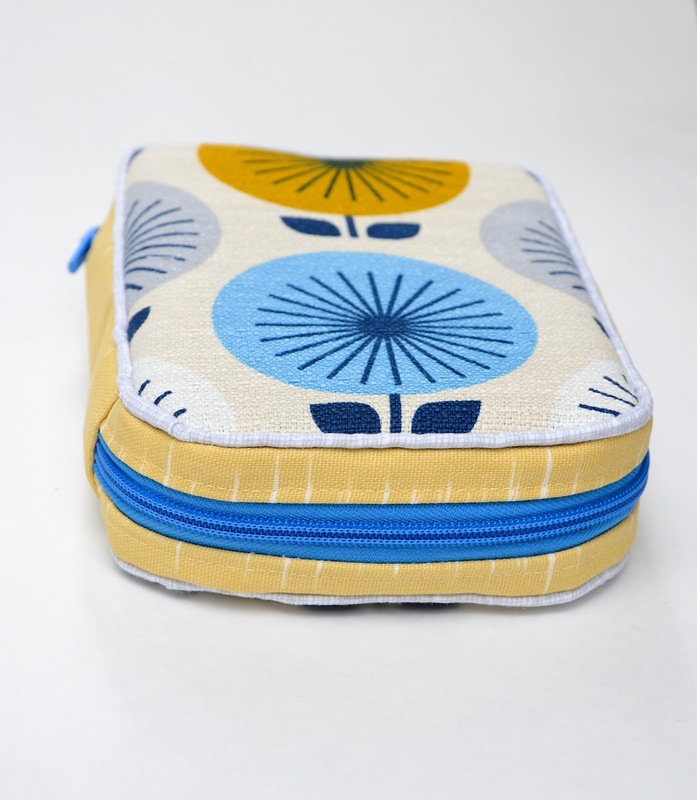 I am thinking a travel sewing pouch to take things to classes in. 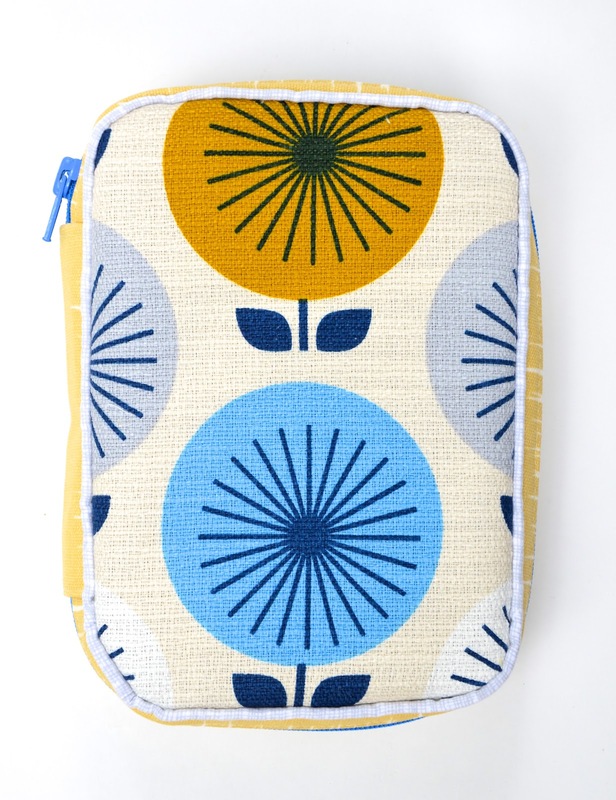 I love this pattern but I am so discouraged! I've read all the related posts about how to measure for the gusset piece and how to draft the patterns, I've made sample after sample and the gusset piece is always too big!! Any tips for how to measure the panel piece or do the math to make the gusset piece fit?? Thank you!! !